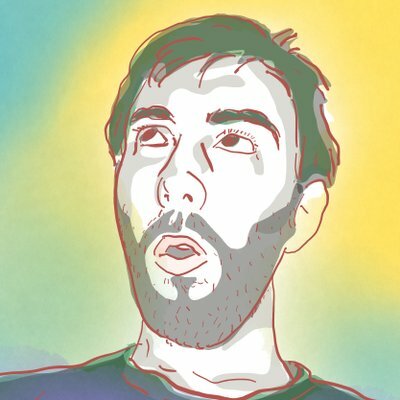 Since we don’t want to start the platform with no content on it, I wrote a web scraper in python that goes over publicly available information on charities. On our site we will make it very clear what content is coming from other websites and a link to them will provided right next to it. Some of them you can see in the screenshot below. Used Bootstrap to create front-end. Most of it is ready. Creating front-end that looks decent has been much easier than I thought. Also the icons of font-awesome and bootstrap are awesome and also very easy to use. Starting with only allowing users to create accounts via Twitter has a couple of advantages; It’s quick to build, robust and makes it a little bit easier to spot spammers. That was a bit more work than I expected. There is still some work in that area. The static front-end of most pages is there, like the write review and edit account. But as the prototype is improving we’ll probably see more pages and states we need to build. 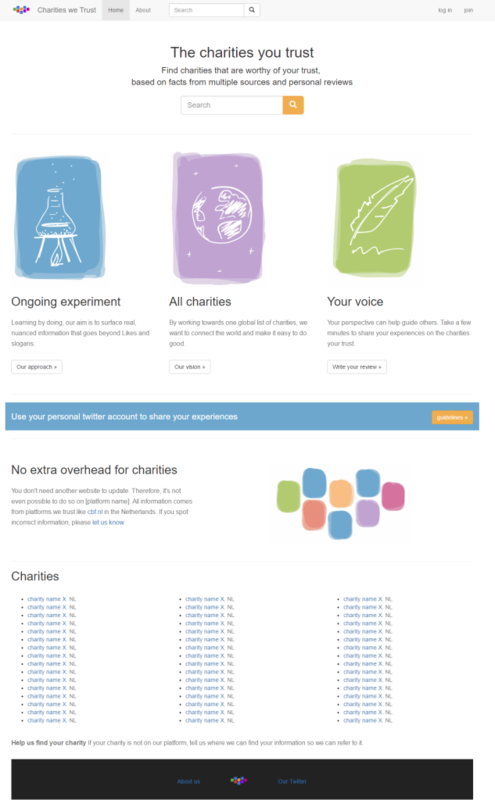 In the beginning search will be very simple, and probably will only find charity pages. As a working title we have “Charities we trust”, but I think that will cause problems. If someone visits the site and enters on a specific charity page, this person might think we endorse the charity since we say ‘we trust’ them. There is a whole lot of texts, code and other work that needs to be one..
Here’s visualization on the work what has been done so far.